Free public parking in rear of restaurant and street parking in front. Intimate 50 seat restaurant available for reasonable "Buyout" Call for rates. Intimate Italian Restaurant, located in Historic Downtown Davidson. Classic Italian cuisine. Featuring homemade pasta & desserts. We also offer steaks & chops and daily seafood specials. Large parties & prime time seatings: Please make reservations by phone. Excellent food. attentive but not intrusive service. Quiet and quaint with very comfortable seating in an intimate dining room -- it has become our favorite restaurant in Davidson. The food has always been exceptional from the fish specialties and pastas to the stuffed pork chop (yummy!). Make a point of making reservations - it is worth it! As always, thoroughly enjoyed evening at Il Bosco. Jimmy & his staff are wonderful in every aspect. Food, especially all ‘specials’ are excellent. We normally get mussels to start. This time they were not as good as normal. Tables are comfortable. Restaurant has NYC small Italian restaurant ambience! Wonderful! I would recommend this restaurant to any folks who love true northern Italian food! Overall just a great dining experience. Many small details, and very thoughtful and approachingly classy actions by all the staff. A pleasant evening in a quiet setting. Food was very good and changes by season. My veal was the most tender I’ve had. My wife’s bolognese was bright and creamy. The wine list is not huge but did have a nice range of varieties and prices. Pick your antipasto by the item and they’ll present it on one tray. The ambiance could use a little personal touch. Owner is on premises and made sure to visit every table. We are locals that finally had the opportunity to dine here. Food was good and reasonably priced. We would definitely dine here again. Dinne our with the wife. Great meal and excellent service. Amazing food and great service. The menu is seasonal and never fails to be wonderful! Our second wonderful meal there! Can’t wait to go back again! Il Bosco was wonderful, as always. The owner and staff are very attentive. The atmosphere is quiet and nice. I always get the fish special, and the Corvina was perfection. Great food and great service. The owners, Jimmy and Ann, treat you like a valued guest - every time. Perfect. Delicious menu and specials. Unique Italian fare - no chicken on the menu - but the best pasta bolognese anywhere. Broad range of meats and cheeses to select from for a customizable charcuterie board appetizer. Also offers the ability to order small or large pasta portions at reasonable prices for a nice Italian restaurant. Everyone takes a portion of the large home. Well trained staff and friendly owner. Offers French press hot and cold teas - a real treat! Indoor and outdoor dining, weather permitting. A Davidson favorite. Rated a 4 and not a 5 due to plain atmosphere. We are originally from Boston. Boston's North End is well known for its excellent Italian food. II Bosco Ristorante is as good if not better than the Italian restaurants in Boston. The food was amazing and our server was great. But the owner seemed inconvenienced when we first arrived, and we were interupted a lot during our meal. We will definitely be back, but I hope next time the service will be on par with the flavors. Everything we ordered was excellent. It was our 2nd time here and it doesn't disappoint - we'll definitely be going back soon. This is by far the most authentic Italian in the area and highly recommend it. Appreciate that they use fresh simple ingredients with lots of flavor! Neighborhood gem! Great food, attentive service. Never disappoints. Date night dinner. Food and service first rate. Not inexpensive but on par for quality and atmosphere. Will be back. Service and food is always great. Very helpful and never disappointed when asking about the wonderful wine selection. We took friends who hadn't been here before. Everything was great except the food. Three of us thought the food was not up to the standards they usually set at the restaurant. 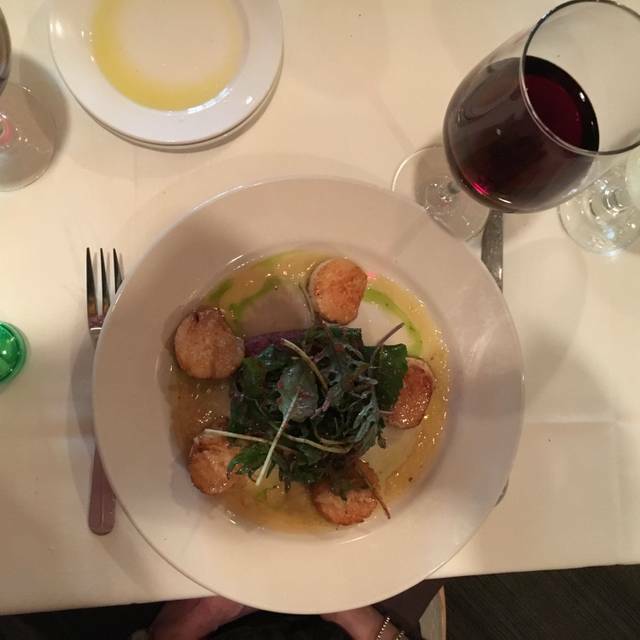 Food is always excellent, service is impeccable, and everyone is friendly. Great place to have a quiet romantic dinner. Would recommend. Your basic old fashioned Italian restaurant. Small and quiet with great food and great service. Outdoor area looks like it would be lovely in the summer! This was the second time that I had been to Il Bosco and it was as wonderful as the first time. The food was delicious and the service was extremely attentive, but gave us time and space to talk and enjoy without rushing us. Definitely going again next time I am in Davidson. Il Bosco is amazing. Consistently high quality food and service. Can’t beat it. Such a gem in Davidson and the surrounding area. One of the finest restaurants in Davidson. Family owned and operated, deliciously prepared cuisine, superb friendly, knowledgeable staff and a great place to relax! Good solid Italian restaurant. An all italian wine list, would love to see some Napa choices added. Service was great, team effort by servers and all were pleasant. A select your choices antipasto was a novel idea and offering half portions of the pasta dishes was a very nice touch. While the half portions are certainly offered in anticipation of a full entre’ to follow, sometimes a salad, half portion of pasta and a dessert makes for a great meal. We come back to Davidson often for College-related visits. Finally tried Il Bosco and it was very nice. Great service, wonderful Italian menu and a comprehensive wine list. We’ll definitely come back. Service a bit slow, but more than made up for by ambience, quality food preparation, and "Italian" feel for the place. Extensive wine and spirits lists. Always great and always a favorite. This restaurant is always perfect for a special dinner. The food and the service are always good and it is a calm, quiet place. I like being able to carry on a conversation over good food!